HOW CAN YOU HELP OUR EDUCATION FOUNDATION RAISE FUNDS THIS WEEK FOR TEACHER PROJECTS? The Foundation is a not for profit organization created in 1986 to enhance the educational opportunities for students at the MSD of Martinsville. Though separate from the school district, the Foundation gives scholarships to teachers and staff to financially support innovative programs when traditional funding is unavailable. “The Education Foundation is a way for the Martinsville community to give directly back to our students and schools. It’s important because it helps fund opportunities and experiences that some might not otherwise have,” -Lisa O’Neal, Wooden Middle, and Mimi Boyd, Poston Road Elementary, co-presidents, MSD of Martinsville Education Foundation. For over 30 years, we have distributed $345,000 to enrich our students’ education. During the 2017-2018 school year, we funded 11 projects totaling $12,289.81. The success of the Foundation is dependent upon the generous contributions of our community. 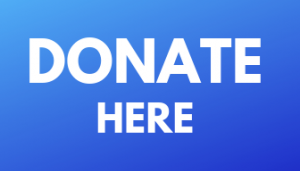 Through a partnership with the Community Foundation of Morgan County (CFMC), tax-deductible donations can be made easily by clicking the donate button. Never forget even the smallest gift combined with others can have a profound impact on the lives of our students, on teacher experience, and ultimately make a difference to our community. MHS students who participated in reading a selection of books from the Indiana Library Federation’s Eliot Rosewater (Rosie) Collection were treated to an evening of dinner and theatre at Beef and Boards in Indianapolis. Last year, all 4th-grade students in our district attended the Indianapolis Symphony Orchestra’s Discovery Concert. All MHS freshman enjoyed reading the same novel for class. Funding created body safety programs for elementary students. The scholarship enabled high ability testing to students district-wide. Smith Fine Arts Academy purchased digital books to build their online library. John R. Wooden Middle School increased their online collection of books including the ‘Young Hoosier Book Award’ series. Say cheese! South Elementary, (School of Communication), received digital cameras for their studio. For comfort and to encourage reading, Centerton Elementary now has new, flexible seating in their library. At South Elementary, School of Communication, new materials were added to the sensory room where learning for non-traditional communicators includes sight, smell, hearing, touch, and taste opportunities. The Education Foundation is made of dedicated teachers, administrators, and community members. For more information, please contact 765-342-6641.